Police were called to a possible home burglary turned officer involved shooting, Monday morning. 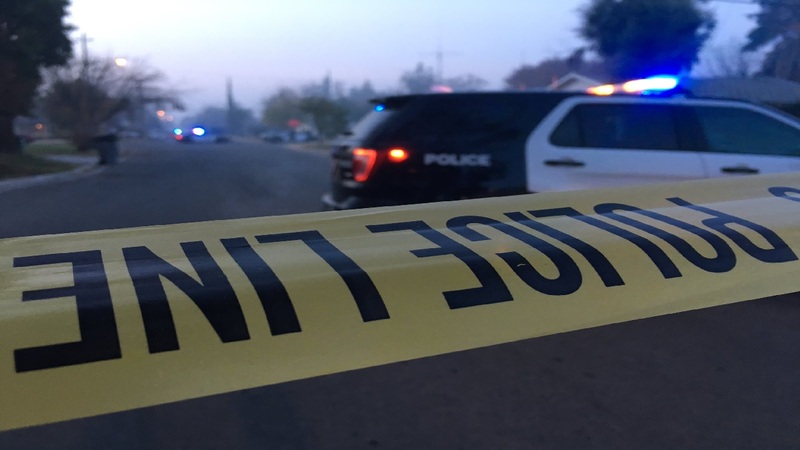 FRESNO, Calif. (KFSN) -- Police were called to a possible home burglary turned officer involved shooting, Monday morning. Upon arrival, the suspect came out of the home with what looked like a firearm. Fresno Police Chief Jerry Dyer says after repeated requests, the suspect would not drop his weapon, so an officer shot two rounds hitting the home. No injuries were sustained. The suspect went back in the home and officers spent almost two hours over loud speaker trying to get him to surrender. Once the suspect left the home he was apparently staying in, he was detained. When Police gained entry to the home they found drug related items as well as two replica guns, believed to be pellet or BB guns. They are investigating whether those are the weapons that were pointed at officers. Fresno police are still investigating and are expected to be on College Avenue, between Sussex Way and Pontiac Way, until early afternoon. The suspect is not being identified and is in the hospital awaiting a blood draw. Chief Dyer says suspect seemed like he was under the influence.